You must admit that one small picture and a short description of online game can rarely immediately determine whether this online game is interesting and whether you would like to play it. 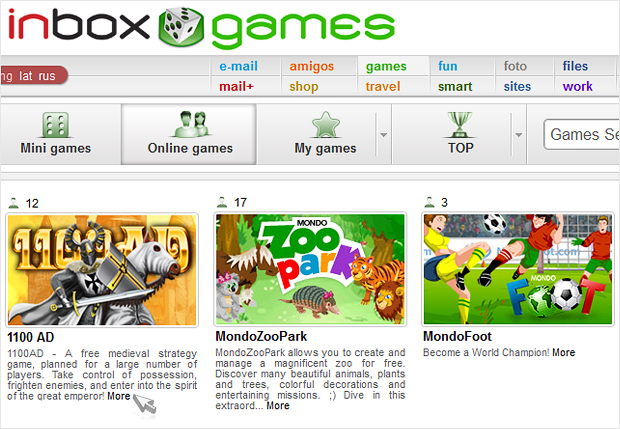 That’s why we have created a separate page for each online game on portal Inbox Games, where you can learn about the main advantages of each game and read other useful information. 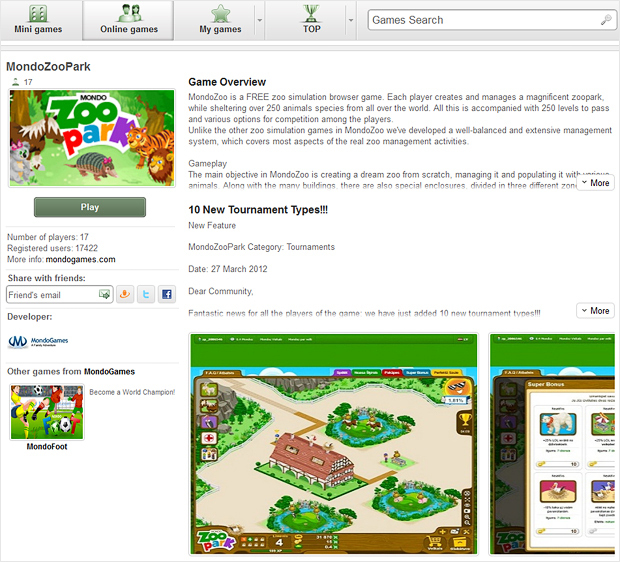 To access any of our online game pages is very simple – click on “More” at the bottom of a short game description. Here detailed game descriptions, the latest news published by game developers, the player’s statistics, additional information about developers and forums and screenshots are available. To share the information about a game and invite your friends to play you also can directly from this page by sending a standard message to any e-mail address. Don’t forget that game developers are known from time to time to surprise players with some additional extras and bonuses. Stay tuned! This entry was posted in About our products and tagged games. Bookmark the permalink.